My nephew, Aaron Campbell, and his fiancee, Stefanie Albert, narrowly escaped a house fire on March 23, 2014. 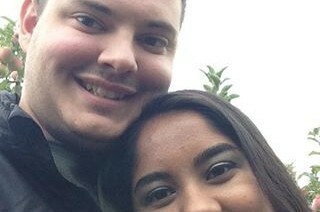 Both are graduate students in VA, he at James Madison University, she at University of VA.
We are so thankful that they made it out unharmed, but they lost everything. Our families are now setting about the painful ordeal of reconstructing their lives. This will be a very long process and a great deal of resources will be needed. We're starting from nothing. Not even a toothbrush. Any assistance you can give is deeply appreciated. It's now been 30 days since Aaron and Stefanie escaped the house fire that cost them everything, including the lives of two of their three cats. They are 10 days into their new home and a lot of progress toward restoring their lives has been made. They are starting to feel almost "normal" again. Our happiness and relief that they made it through this with their lives is felt daily. And we have learned that it is, indeed, true that all dark clouds have a silver lining. That silver lining has been the overwhelming support, love, well wishes and donations from all of you. Our friends and family are our community and it takes a community to bring quality of life and love to us all. We sincerely wish we could do more to show our overwhelming appreciation of all of you. Again, and simply, thank you. Yesterday, April 14, 2014, was moving day for Aaron and Stefanie, into their new place. They are still working on getting settled but they once again have a home to call their own. Thank you again for all of your support, donations, and well wishes. Update: Yesterday, Aaron and Stefanie returned to school. They're still working on getting their books together along with re-establishing IDs, accounts, etc. They've purchased about a week's worth of clothing and Stefanie has her replacement glasses. The search for a new permanent home has begun, in the meanwhile they are staying with Aaron's Grandmother. A press release from the Fire dept. 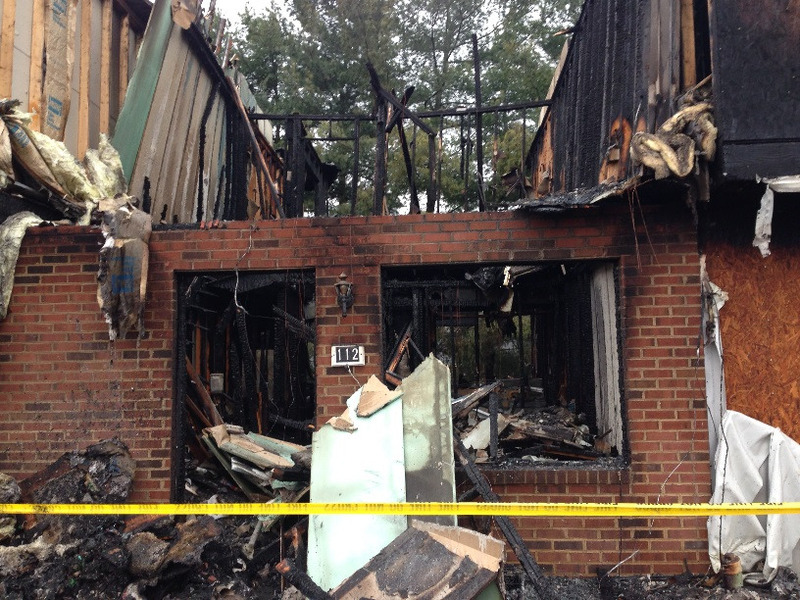 indicates the source of the fire was external/outside. Their small tailgater grill has been ruled out as the cause, as it was found undamaged. Finalized reports from the FD are not yet released. 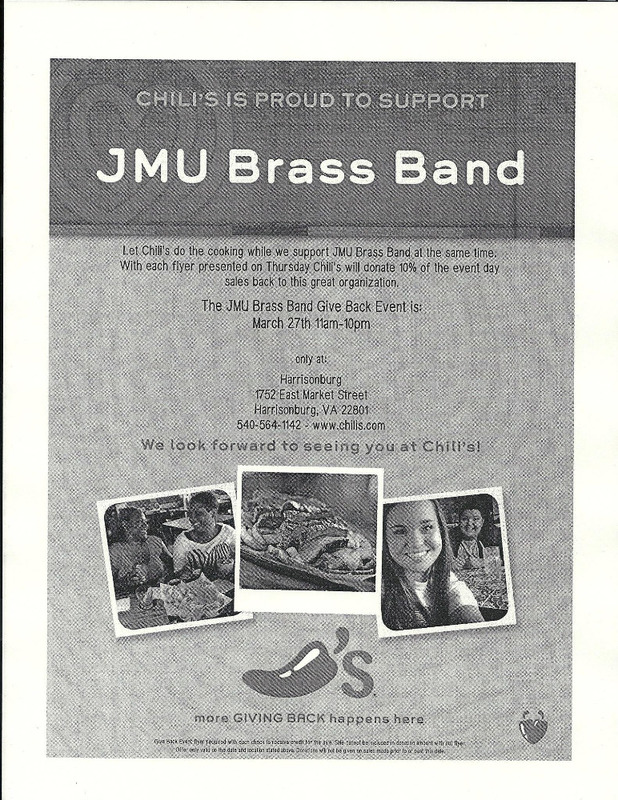 TODAY from 11am - 10pm there is a JMU Brass Band Chili's fundraiser supporting Aaron and Stefanie at Chili's in Harrisonburg, Va. Anyone in the Shenandoah Valley who can come out to show your support are appreciated. Print the attached flyer, present it to your server, and 10% of your meal will go to their fundraiser. Again, we thank all of you for the warm outpouring and generous donations. This assistance is putting a dent in all that they and our families are enduring. A friend of a friend; glad you both are safe! To a wonderful couple, I hope nothing but the best for the two of you and will be here anytime you guys need something. I have many friends thinking of the two of you during this time of need. From a fellow euphonium player.